Any serious injury can turn your life upside down for a period of time, but some types of bodily harm bring consequences that are permanently life-altering. Coping with the effects of catastrophic injury from a traffic collision or other accident can be tremendously difficult for the victim and his or her family. For more than 30 years, Joe Horrox in Daytona Beach, FL, has helped catastrophic injury victims obtain due compensation to ease the pathway ahead. If another party is fully or even partially responsible for your disabling accident, they may be liable for covering extensive damages in your case. Joe Horrox fights for maximum compensation for catastrophic injuries. To schedule a free consultation, call (386) 258-2121 or contact our office online. The term "catastrophic injury" is used to describe bodily harm that results in permanent physical or mental damage to the victim. The injury is typically life-changing in many ways. In most cases, the victim will be unable to continue in a former job or may be unable to work at all. A need for home care is common, along with extensive ongoing medical care. 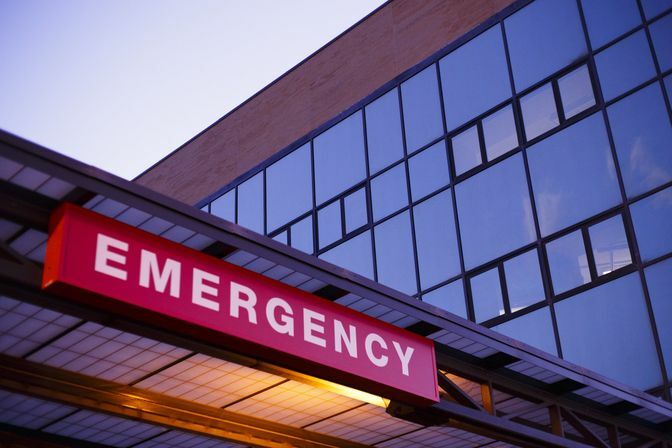 Catastrophic injuries can be permanently life-altering. Catastrophic injuries include those that result in paralysis or cause significant, permanent scarring. Occurring as a result of auto accidents, particularly motorcycle accidents and pedestrian accidents, this type of injury is also seen in slip and fall (premises liability) accidents and dog bite incidents. Like many states, Florida uses a “no-fault” system for traffic accidents, with coverage for typical damages provided by each party’s Personal Injury Protection (PIP) policy. However, in cases involving catastrophic injury, the at-fault driver may be liable for additional damages. Joe Horrox is dedicated to pursuing every legal avenue to ensure disabled victims and their families are appropriately compensated for their injuries and losses. If the driver has extended bodily injury insurance coverage, his or her policy is likely to be responsible for paying the insurance claim. In other cases, the victim’s own uninsured motorist coverage is utilized, or there may be a personal lawsuit. Damages from a premises liability accident will generally be covered by a homeowner’s or business liability policy. Homeowner’s insurance may also often cover a traumatic dog bite injury. In Florida, a dog owner is held strictly liable for injuries caused by a pet regardless of whether there was cause to believe the animal was dangerous. Personal injury attorney Joe Horrox has spent more than 30 years providing counsel and representation for victims of catastrophic injury. He is dedicated to pursuing every legal avenue to ensure disabled victims and their families are appropriately compensated for their injuries and losses. Damage awards are designed to compensate (to some degree) the victim for losses suffered as a result of the incident. These damages help cover ongoing medical expenses, lost wages, pain and suffering, and reduced quality of life. In some cases, the monetary recovery includes additional punitive damage awards (monetary penalties the at-fault party must pay as a form of punishment). At Joe Horrox Law, we thoroughly investigate every accident and work to provide evidence of liability and the extent of our client’s damages. We handle every aspect of your insurance claim and negotiate a strong settlement on your behalf. If necessary, we can file a lawsuit to fight for your right to full compensation. If you or a loved one has been catastrophically injured, talk to Joe Horrox. Our firm works on a contingency basis, so you will not pay legal fees until you receive your settlement or court award. Please call (386) 258-2121 today to schedule a consultation.